The second general election since Myanmar began its political transition in 2011 will be held on Sunday 8 November 2015 with some 30 million Myanmar voters — at home and abroad — potentially eligible to vote in one of the largest worldwide, single-stage voting events. But what the election means for Myanmar’s continued democratic transition remains unknown. The 2010 Myanmar election was characterised by widespread vote rigging, and was deemed not to be free and fair. The 2015 Myanmar election will be held under more transparent and rigorous procedures in the presence of international observers, but it will not necessarily be seen as legitimate as the military continues to exercise effective control over politics. Like in 2010, in both houses of parliament 25 per cent of the seats are reserved for military representatives. This is in accordance with the former military regime’s constitution adopted in a flawed referendum in May 2008. President U Thein Sein, a retired general who led the governing Union Solidarity and Development Party (USDP), has not yet confirmed his intentions in regard to the election. After taking the presidency, Thein Sein had to resign as formal head of the USDP. So it has been generally assumed that he would not seek a second presidential term. Thein Sein adopted a reformist agenda as president, promoting reconciliation and peace negotiations with all ethnic groups. But his proposed nationwide ceasefire agreement has still not been formally agreed to by all parties. The opposition National League for Democracy (NLD), led by Daw Aung San Suu Kyi, did not contest the 2010 Myanmar election. A small faction of the party, styling itself the National Democratic Force, won only a small number of seats. However, the NLD did contest by-elections held in April 2012, winning 43 of the 45 contested seats. Aung San Suu Kyi was elected to parliament for the first time and subsequently accepted an appointment as head of the Parliamentary Committee on Rule of Law and Tranquillity, a position she still holds. 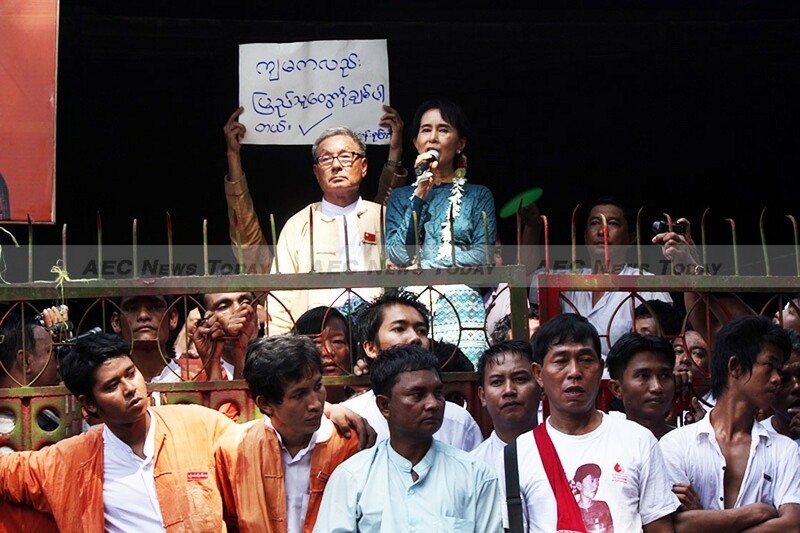 The NLD and Suu Kyi have finally confirmed that they will contest in the 2015 Myanmar elcetion. But Suu Kyi is not permitted under the 2008 Myanmar Constitution to stand for the presidency, because her two sons hold British citizenship. The NLD had won a clear majority in the 1990 Myanmar elections, Myanmar’s first under the former military regime. But the regime refused to transfer power. The ensuing military coup led to a campaign of repression against the party. 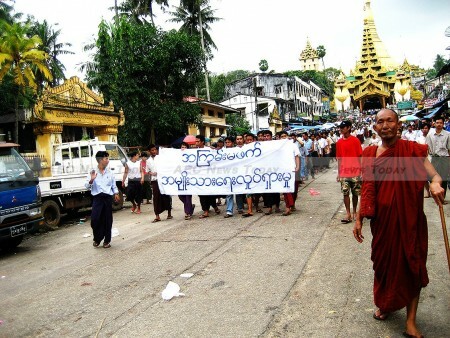 More than one million Burmese NLD supporters fled the country. A number of other parties representing different ethnic groups, who won a small number of seats in the two previous Myanmar elections, will also contest some seats. While there are no opinion polls in Myanmar on voting intentions, it is widely speculated that the NLD could form the government after the elections, either on its own or in a coalition. National politics in Myanmar are in some ways currently characterised by parties and individuals adopting set-piece ideological positions and focusing on their party’s political objectives, without necessarily responding thoughtfully to widespread popular concerns. This can certainly be said of the more overtly ‘political’ actions in Myanmar, including local-level communal violence and regional insurgencies. Attempts to assert an independent position with or without grassroots support can have wide-ranging impacts. National politics is also marked by the failure of the major parties to respond to common concerns, including land disputes. Myanmar’s people care very much about the 2015 Myanmar election. In November 2010 they saw how an election process can be corrupted by ballot stuffing and other abuses. Of course, many people still remember how the 1990 Myanmar elections were ‘stolen’ and the NLD punished by the military. Some now realise the NLD does not always meet their expectations politically. They are either disenfranchised or plan their own political response, independent of the NLD. Myanmar has received international best practice election expertise and the quasi-independent Union Election Commission seems to be making more intensive preparations leading up to the 2015 Myanmar elections, engaging in its most extensive electorate consultations ever. Party and voter registration has been carried out more thoroughly than in previous Myanmar elections, including the 2010 Myanmar elections. Electoral staff, party officials and independent civil society representatives are now better trained. Much greater domestic and international observation of the voting process will ensure better transparency. These factors will contribute to an improved election process. In the end the 2015 Myanmar elections’ success will be judged by the legitimacy they engender, which depends on the general acceptability of the outcomes. 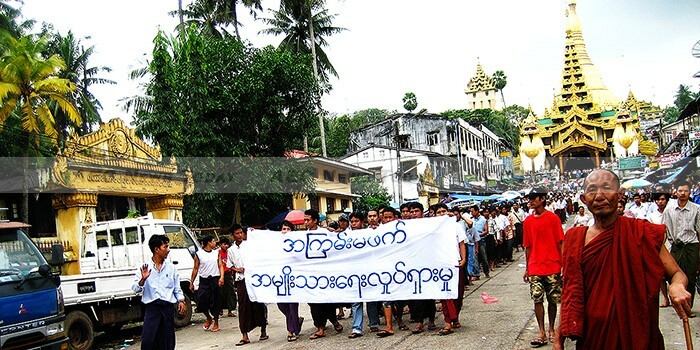 They would enjoy greater legitimacy if they were not held under the unchanged 2008 Myanmar Constitution, which was not the product of a genuine democratic process. The 2008 Myanmar Constitution would be improved if a compromise could be reached on some of the amendments that have been discussed in the past two years. Military representatives in the parliament recently voted against constitutional amendments that would have reduced the majority vote required for constitutional change and allowed Suu Kyi to contest the presidency. The Myanmar election outcomes will likely be confused. It may be some time before new policies are determined, even if the Myanmar election process itself is peaceful and fair. Hopefully, Myanmar’s overall reform trajectory towards democracy will continue after 2015, whoever holds power. Myanmar’s post-2015 election leaders will inherit considerable challenges. Most important of all is achieving effective rule of law: until significant progress is achieved in embedding this into all aspects of society, sound socioeconomic policies will be hard to accomplish, and it will be impossible to protect individual rights and freedoms. These are the very goals that Myanmar now needs and that its people now aspire to more than ever. It behoves all Myanmar’s friends and neighbours to stand ready to help. An earlier version of this article was originally published here by Asia Currents. Myanmar Elections: A Turning Point for Reform?